"The house looks better than when we left it!" We have let our house to Capital Living for just over a year. 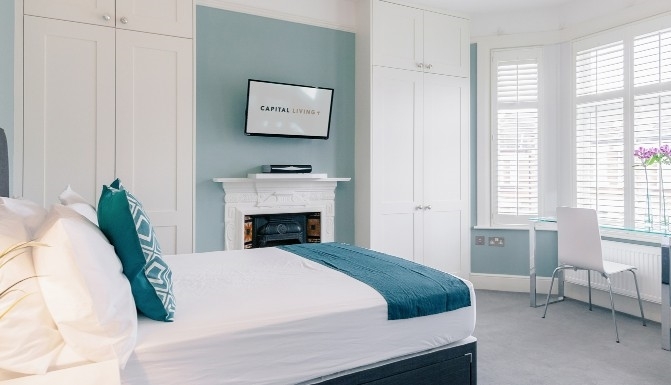 Having originally let to a family we were at first concerned about each room being let to individual tenants and of course the house being altered to make room for two downstairs bedrooms but Capital Living were on hand to answer all our questions and put us at ease. We were fully informed about the process along the way and have found Capital Living to be professional, personable and extremely pleasant to deal with at all times. When we saw how professionally the work downstairs had been done and how beautifully the rooms had been furnished we were very impressed and assured that should we need the house back at any point it would be as easy as knocking down the wall between the sitting room and the old dining room. In face the house looks better than when we left it! "We wish we had met and signed up a lot earlier"
We've been letting my property to Capital Living for almost three years now. Since letting to them the rent is punctual, but even better, the property is kept in a tip top condition. CL supply a cleaner who does a brilliant job, CL will touch up any marks on walls and will rectify other issues if not too problematic. I do an annual inspection and I'm always extremely satisfied with the condition of my property and due to the calibre of tenants who apply for rooms with Capital Living it's in their interest to keep their properties looking clean, up to date and fresh. We wish we had met and signed up with Capital Living a lot earlier, it would have saved a lot of frustration and expense in trying to let it yourself. "I was delighted with the care and the maintenance provided"
I was delighted with the care and the maintenance that Capital Living provided for my property. Initially, I have to say I was somewhat sceptical, I was concerned that the property might deteriorate and I would be faced with a large repair bill at the end of the tenancy. I was very pleasantly surprised therefore by the care they took and particularly at the end of the tenancy where they fulfilled all their promises to return the property in the condition they received it. A number of alterations were made good as promised. All in all a very good experience for me. "Extremely professional and easy to work with"
I would be happy to recommend Capital Living who took on my Whittingstall property at the end of June. 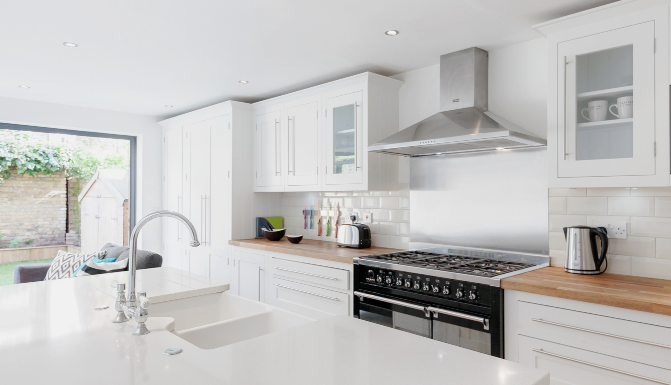 They have been extremely professional and easy to work with, from contract agreement to the start of the tenancy and to date I have had no issues. This was a totally new venture for me and I was cautious to start but I spoke to some of their other landlords and they were all extremely positive and encouraging. The tenants are late 20s to mid 30s professionals. Capital Living has stated all along that I am welcome to visit and meet the tenants at any time. "They have kept the property in excellent condition"
I can confirm that Capital Living is a very good tenant in my view, rent has been paid on time, they have kept the property in excellent condition -­ any issues that have arisen in terms of ongoing maintenance work have been dealt with efficiently and professionally by Capital Living. 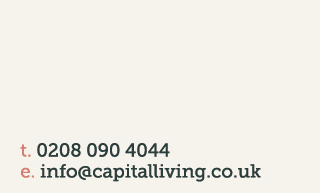 "Capital Living have always paid the rent on time and in full"
All issues relating to property management have always been reported by the Capital Living Management team and they have assisted me when required in this regard. The house has been kept in a good condition and cleaned every week. Our house has been let to them for three years and we have since renewed our agreement. 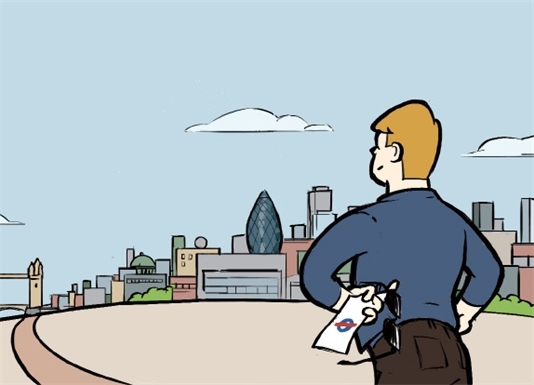 Capital Living have always paid the rent on time and in full. "We have no hesitation in recommending Capital Living"
Our relationship with Capital Living has at all times been good and we have no hesitation in recommending to landlords who are considering doing business with Capital Living to look in detail or what an excellent package Capital Living offer, even in chastened times. Capital Living's payment history with us has been excellent, as expected. "Responsible, reliable and easy to deal with"
I am writing to confirm that I have known Capital Living, as a tenant since January 2010. I have found them to be responsible, reliable and easy to deal with. Although their mode of lettings was new to me, it has proven to be successful and I am confident that other landlords would be happy to do business with them.